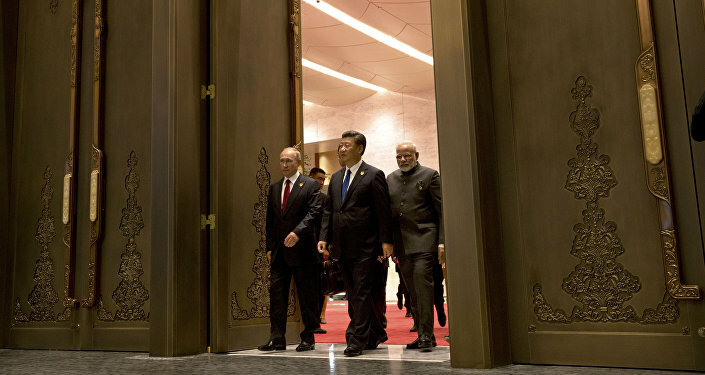 India has received crucial market access from China that will benefit thousands of its farmers engaged in sugarcane production. India's Ministry of Commerce announced on Thursday that a contract for exporting 15000 tonnes of raw sugar has been struck by the Indian Sugar Mills Association (ISMA) and COFCO, a Government of China run public sector company and the country will start shipping raw sugar to China early next year. The approval comes after several rounds of meetings by the two countries’ officials. "India plans to export 2 MT of raw sugar to China beginning from next year. Raw sugar is the second product after non-basmati rice that China will import from India. It is a move to reduce the $60 billion trade deficit that China has with India," India's Ministry of Commerce said. India's sugar mills had been facing severe cash shortage due to excessive production combined with low prices. Excessive production resulted in the accumulation of cane price arrears to the tune of $3.5 billion which the farmers have yet to receive. In the upcoming harvest season too, cane production is expected to be at least 7 million tons more than the projected domestic demand. "Indian sugar is of a high quality and is Dextran free because of the minimum time taken from cut to crush. India is in a position to become a regular and dependable exporter of high-quality sugar in significant volumes to China," the ministry added. Earlier this week, India's Commerce Secretary Anup Wadhawan held a bilateral meeting with Wang Shouwen, Vice Minister of China's Commerce Minister, in Shanghai wherein the Indian side acknowledged Chinese Government's efforts in clearing some of the market access issues for products such as rice and rapeseed meal during the past few months and expressed satisfaction over progress on market access to soya bean meal and pomegranate. India's export to China in 2017-18 amounted to $ 33 billion while imports from China stood at $76.2 billion.